For many musicians, especially church musicians, a chasm opens between the training and the practice of their art. Professional training involves deep study of great music literature, the refinement of musical taste, and the attainment of a high playing standard. “This is what playing to the glory of God is really all about,” we think as we enter the real world. But in that real world, church musicians encounter harsh realities. The ideal sound we were hoping for is nearly unattainable. The hard work we put into our playing passes unnoticed. Our diligence assembling meaningful worship falls on undiscerning ears. And, at times, there are those who stand opposed to our goals. Faced with these obstacles, we despair. Our musical heroes seem to be from a better time, a time when the church’s musical values allowed people like Bach to flourish! Recently, I have taken comfort in looking at Bach’s reality, which was more like today than I ever imagined. Bach’s colleagues in ministry changed his hymn choices without his consent. He had to wait to get paid. We have letters from Bach begging superiors to intervene so that he could be paid for special services he had played months earlier. People arrived late, left early, and talked during important parts of the service. In John Eliot Gardiner’s recent book on Bach, we learn that Leipzig churches were “quite empty” at the start of services, ushers were needed to keep people from leaving “like cattle” after the sermon, and fashionable people arrived late in order to be seen (just in time to disrupt proceedings exactly at the moment Bach’s cantata would have been performed). The central corpus of Bach’s work had to contend with parishioners talking, sleeping, and reading newspapers during the service. Gardiner suggests this may explain some of the dramatic openings of Bach’s cantatas—musical attempts to awaken dozing parishioners. The musicians Bach had to work with were not up to his standard. He later tallies 17 usable boys, 20 not yet usable, and 17 unfit. A year earlier, he had programmed the St. Matthew Passion on Good Friday! Like Bach, you and I will not know the extent of our impact in this world. We have only to be faithful in using our gifts for God’s glory. May God grant us grace, especially during this busy time of year, to leave the results of our labors in God’s gracious hands. 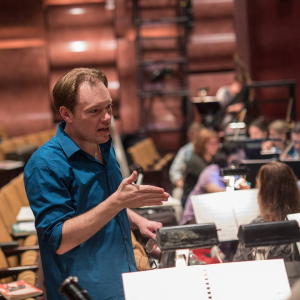 Peter Hilliard holds degrees from the San Francisco Conservatory and NYU, and he is Music Director of Villanova University’s Graduate Theatre Program. He is also Minister of Music at Berachah Church in Cheltenham, Pennsylvania and music director of Philadelphia’s Savoy Company, the oldest company in the world dedicated to performing Gilbert and Sullivan. Prelude Music Planner is the web-based tool that provides a wealth of music, thoughtful commentary, and time-saving tools for the church musician. Explore a wealth of music. Search our database of congregational, choral, and instrumental church music by lectionary day, voicing, difficulty level, tune name, and more. Get the music you need, when you need it. Preview the entire piece of music from beginning to end, and then download the parts you need. Subscribers will also receive a block of “points” to spend on our library of downloadable choral and instrumental pieces. Manage your church’s music library. Organize your music library in one master location. Once your library information has been added, you can plan using both your physical library as well as the Prelude library with a single search.